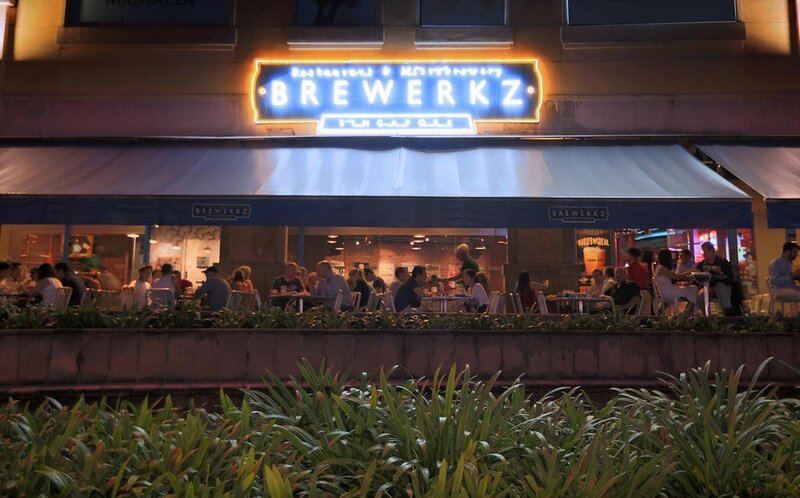 Serving our first brew in 1997, Brewerkz has garnered the title of Singapore’s first microbrewery restaurant. 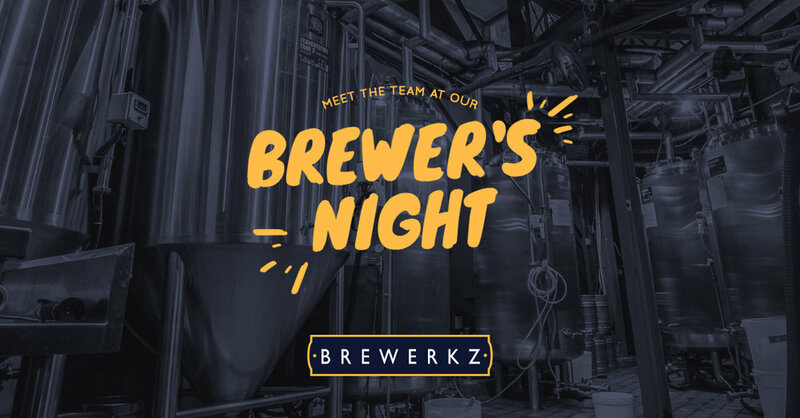 Since inception, Brewerkz is committed to brewing beer that people love. We brew for the day drinker, the beer geek, the first timer, and the pint-a-nighter. Each batch fills a greater purpose by nourishing the souls of beer lovers. 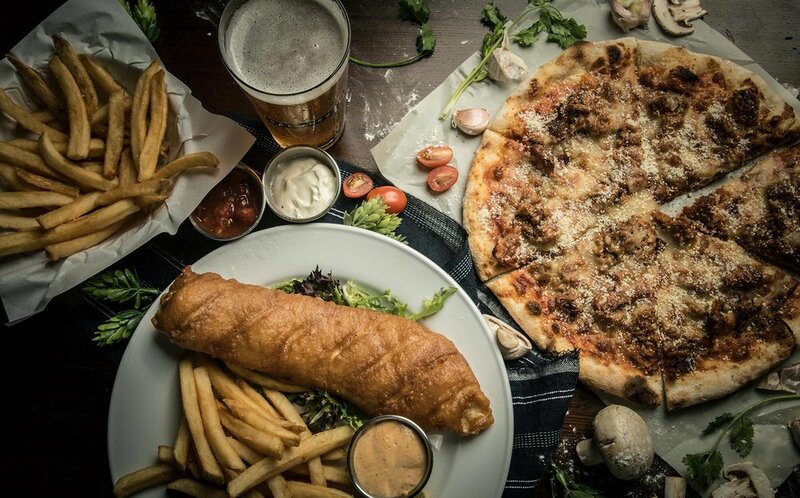 Serving award-winning beer and food, we know you will be leaving satisfied and wanting to come back for more! 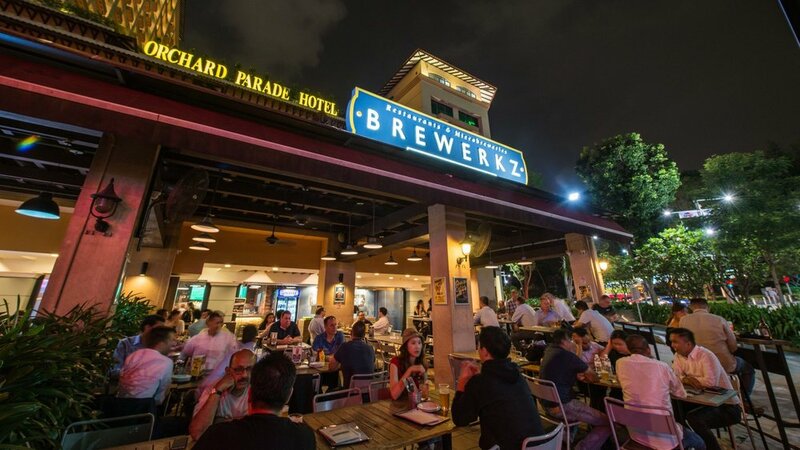 Winner of the Best Brewery in Singapore, and awarded with many other prestigious beer awards, such as the most impressive World Beer Cup gold medal for English-Style IPA, along with eight Australian Beer awards and three Singapore Asia Beer awards, our beers have gained recognition both nationally and internationally. Our restaurant won Best Restaurant in the 2017 edition of Wine & Dine Best Restaurant guide. To deliver the freshest beer possible, we keep our beer at the ideal temperature of 2°C - 5°C. Taste it to believe it - our beer contains no additives, is non-pasteurised, and is unfiltered; a result of traditional brewing methods that are used to create a more complex flavour! 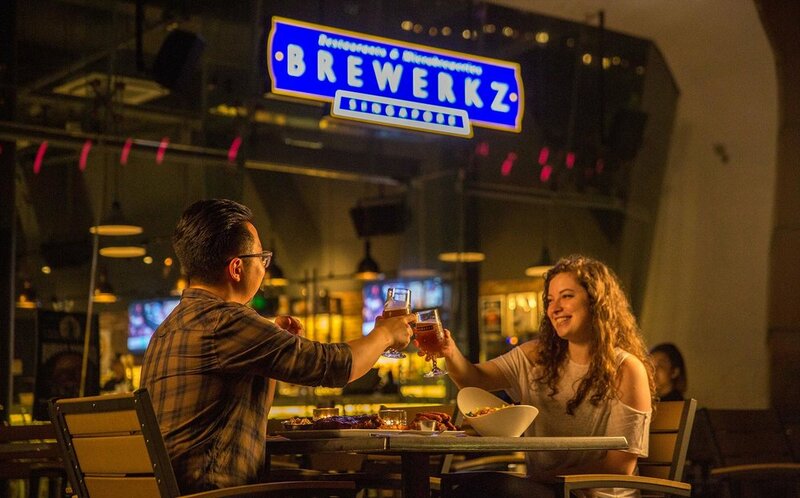 Whether you feel like feasting on our fan-favourite nachos along the iconic Singapore River, meeting up with friends to share a tower of beer in the heart of Orchard Road, or having a round of our famous burgers before a concert at Singapore Indoor Stadium, Brewerkz has you covered. Visit one of our four outlets today to sip a pint of one of our handcrafted beers and try our mouth watering food! Last call for food is 1 hour 45 minutes before close. Last call for drinks is 45 minutes before close. Craft brewing is continually expanding in both Asia and throughout the world. 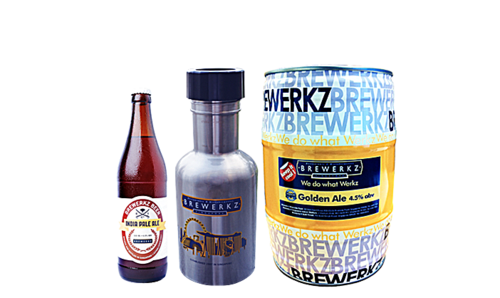 Brewerkz is well positioned to move successfully along with this rising tide, and welcomes any queries about opening your own franchise. For enquiries on franchise opportunities, please email to franchise@menu.com.sg. Whether it’s the roar of Formula 1 cars or the cheers of Super Bowl, there’s always a party going on at our different outlets. Come join in the fun, check out our upcoming events and latest promotions below. 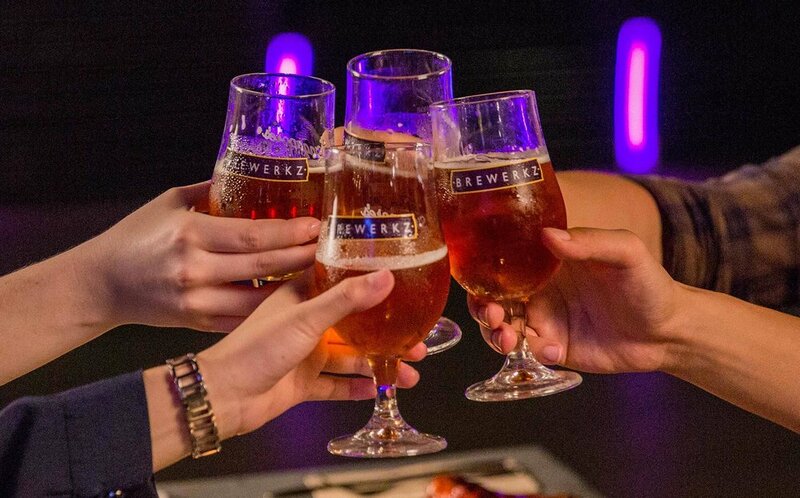 Get a pint of our premium craft beer at as low as $10 after 10 pm. Enjoy your favourite beers, our XP series and more flavours that are coming your way! Refer to our respective beer menu below for more information! Hop on down to Brewerkz during Easter over the long weekend! We are serving up an assortment of roasted meats at various outlets. Served with ribeye, gammon ham, scotch egg, mac and cheese, Cornish game hen and maple glazed carrot. Includes 2 stems of Core beers. Served with grilled sirloin steak with port wine sauce grilled salmon with mango salsa, braised lamb shank with mash potato, tuna egg with sauté broccoli and carrot. Served with roasted baby potato, cherry tomato carrot and mix green. Includes 1 stem of Core beer. Valid from 19 to 21 April 2019. Not valid with other discounts, vouchers, promotions or privileges. Reserve your tables now! 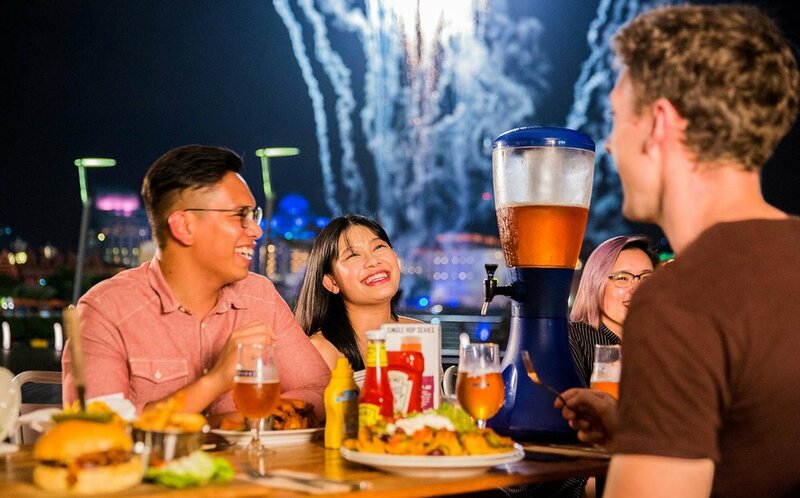 Come enjoy a tower of our Session Pale Ale at Brewerkz Indoor Stadium or Brewerkz Riverside Point for only $50++ ( save up to $25++) or order a jug at only $ 20++. *Valid only Sunday- Thursday. Not valid on concert days. Only valid for Session Pale Ale (Jugs/Tower). Session Pale Ale subjected to availability. Find out what's playing on our TVs, here on Sport's Schedule! Want to watch something that's not listed? Just ask our friendly staff to put it on the TV nearest to you. If it's playing, we'll put it on! Scheduling may be updated and is subject to change without prior notice. Unless otherwise indicated as a live screening, the listed event will be a replay.  Timing is listed in the 24 hour format. Planning a private party or a corporate event? We have it all! 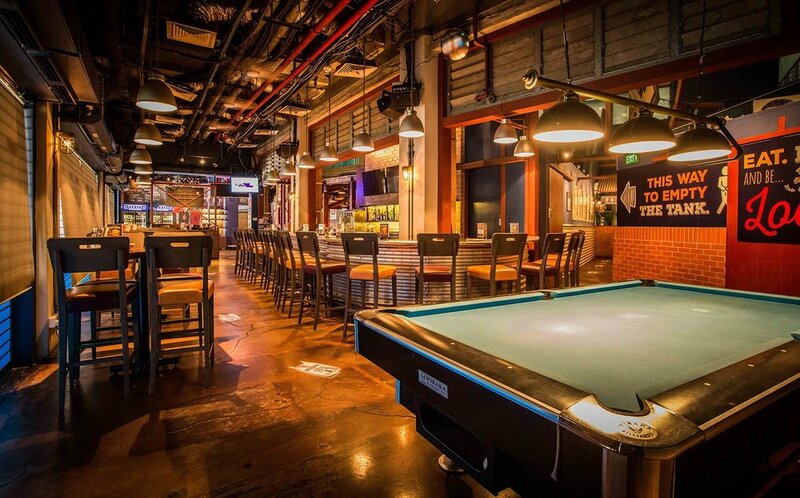 We host many special events for everyone - whether you are the sports lover type, the foodie type, or of course, the beer fanatic type, you'll find the ideal space for your party at one of our many venue space! 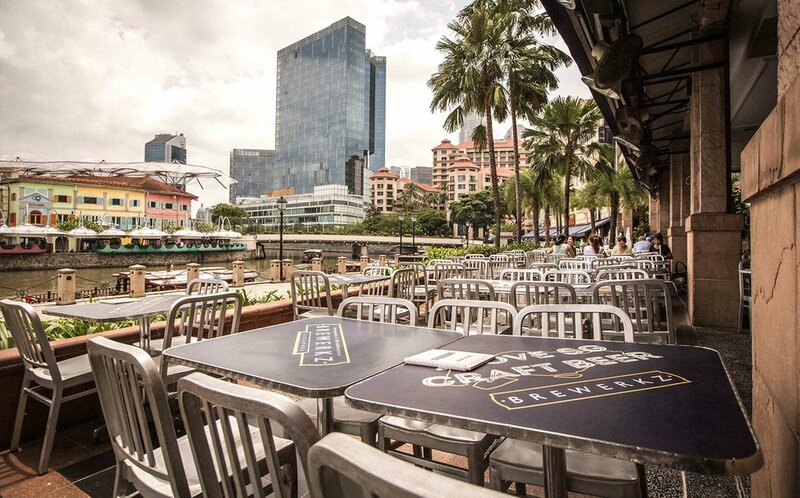 Overlooking the best view of Clarke Quay, this flagship restaurant offers a great area to dine and enjoy fresh brews together with great company in an especially comfortable open space. Located right at the heart of the Singapore River, the venue offers several rooms for both big events and intimate groups. Our Dining Room 1 would be the perfect place to spice up those stale meeting room vibes! Accommodating up to 40 pax with an in-built projector inside for any networking or presentation event! Large, high ceiling, retro-looking space and fully AV equipped for any style of meeting, networking events or parties. Beautifully decorated retro-vibes within our Local Brewery Restaurant. Can also be combined with our TapRoom, allowing up to 90-100 guests in an exclusive event. Sits up to 30 pax, can be combined with The Old Brewery for more seating capacity! The space can be set up for standing party events, seated dinners as well as buffet and finger food style events. Creative and attractive designs that exude a sporty, masculine and industrial feel. The Al fresco dining area at our Brewerkz Singapore Indoor Stadium outlet provides a great view overlooking the Kallang Basin, Pebble Bay, and Costa Rhu Condos. 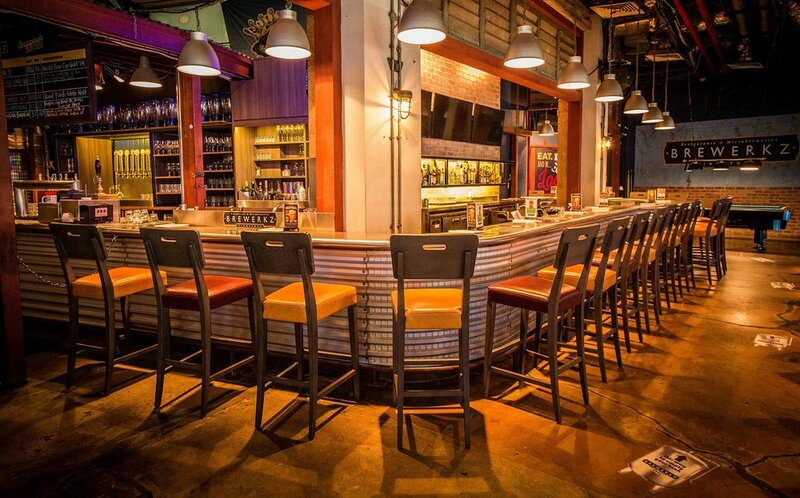 With indoor and Al fresco areas that can cater to both the casual and serious beer drinkers. Sit at our attractive bar and indulge in some food and one of our different brews; a perfect place to hang out after a shopping stroll along the busy streets of Orchard Road, yet far from the maddening crowd. This outlet puts you in a comfortable environment without taking you away from the action.